What if by learning a language, you could have the power to change the world? If you ask Konstantinos Mavrodis, that language already exists – it just needs to be taught. 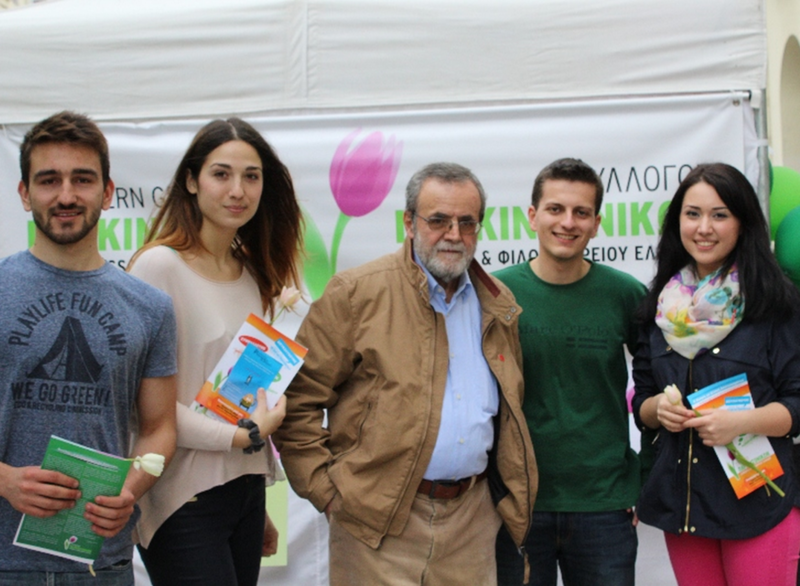 Konstantinos and his Team PROGNOSIS Imagine Cup teammates Despina Efthymiadou, Dimitris Iakovakis and Vicky Bikia – all software engineers – used their coding skills to create something that indeed holds the promise to change the lives for many with Parkinson’s Disease. World Finalists in the Citizenship category, and winners of the Ability Award at Imagine Cup, PROGNOSIS is a mobile app that works with the Microsoft Band to provide early detection and early intervention for Parkinson’s. The PROGNOSIS app collects data – such as voice and movement – to promote active and healthy aging and introduce new tools for health self-management, all set within a collaborative care context with health professionals. “One of our team members had a relative with Parkinson’s Disease – her grandpa – and she told us we could make something to make [Parkinson’s patients’] lives easier,” says Mavrodis. For today’s Daily Edventure, I hope you enjoy another inspiring and important group of students who are using their skills to create positive change. Congratulations, Team PROGNOSIS! This entry was posted in Imagine Cup, Information, People, Student Voice and tagged greece, Imagine Cup, team prognosis. Bookmark the permalink.